Losing a loved one unexpectedly is a traumatic event no one should have to undergo. And yet negligence, accidents, and misconduct lead to these fatalities every day in the U.S. When you lose a loved one to these types of circumstances, the potential for serious emotional and financial hardship is real for your entire family. To help your family during this difficult time, you may be able to file a wrongful death claim to pursue justice on behalf of the deceased. New York attorney Ira M. Maurer has nearly 30 years of experience fighting for the rights of family members affected by wrongful death. No matter what caused the accident, our expertise and resources will get the results you need. Mr. Maurer will investigate who is at-fault for wrongful death and pursue maximum compensation on your behalf. If you lost a loved one because of someone else's carelessness and negligence, please contact the Maurer Law Firm by filling out the form on this page or by calling 845-896-5295 to schedule a free consultation. We proudly serve those who live in the Hudson Valley including Fishkill, Myers Corner, and LaGrangeville, New York. A wrongful death claim is a way for the immediate family of the deceased to seek justice and compensation for the loss of their loved one. If the death is a result of legal fault by another person or entity, they have the right to pursue a claim. This is especially true if the deceased was the head of household and primary means of financial support. New York law allows lawsuits to be initiated by a personal representative of the decedent who died as the result of negligence or some other wrongful conduct. Wrongful death cases, formerly based on common law principles, are now governed by the New York wrongful death statute. The decedent’s personal representative, designated by the deceased's last will and testament, can file a wrongful death claim. If no will exists, the probate court of the decedent’s county of residence may appoint an administrator. The statute of limitations for filing a wrongful death claim in the state of New York is two years from the date of the victim’s death. It’s also important to note that the state does not stop the statute of limitations from running if the victim’s representative is a minor or legally incapable of filing the claim. In those cases, the minor’s or incapable person’s guardian must file the claim on their behalf. Virtually any type of accident can lead to a wrongful death if the responsible party was negligent or careless in any way. Mr. Maurer has years of experience with many types of personal injury cases and can help if your family member suffers a fatal accident because of someone else. 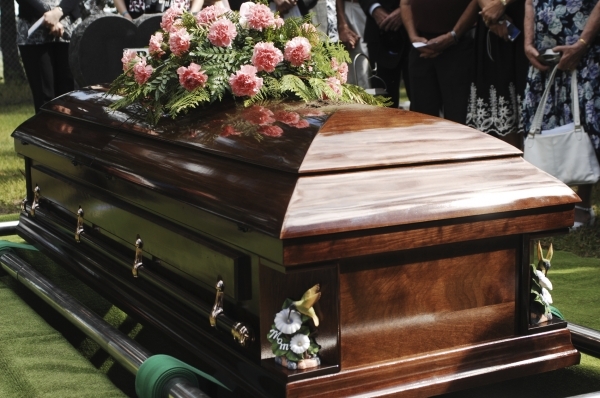 Who Can be Liable in a Wrongful Death? There are certain parties who are legally immune from a wrongful death lawsuit, and Mr. Maurer can determine whether the responsible party can have a claim brought against them. Although New York law only provides for the recovery of economic loss resulting from wrongful death (i.e. the decedent’s lost wages and fringe benefits), a child of the deceased may recover for the value of parenting that has been lost. A family member is not entitled to damages for pain and suffering unless he or she was located within what the court recognizes as the “zone of danger” at the time of the accident. In addition to having decades of experience in his field, Mr. Maurer works tirelessly to pursue the results his clients want. He also offers a free consultation so that you can learn about our law firm and so that we can learn about your case. During your consultation, he'll answer any questions you may have and address all of your concerns. A wrongful death not only causes you grief and suffering, but you're also dealing with the legal ramifications, insurance companies, end-of-life expenses and other problems. Mr. Maurer is committed to lessening your burden by handling your case while you focus on your emotional health. If you have lost a loved one because of wrongful death circumstances in Fishkill, Myers Corner, Beacon, LaGrangeville and nearby areas of Hudson Valley, please call the Maurer Law Firm for a free consultation at 845-896-5295.